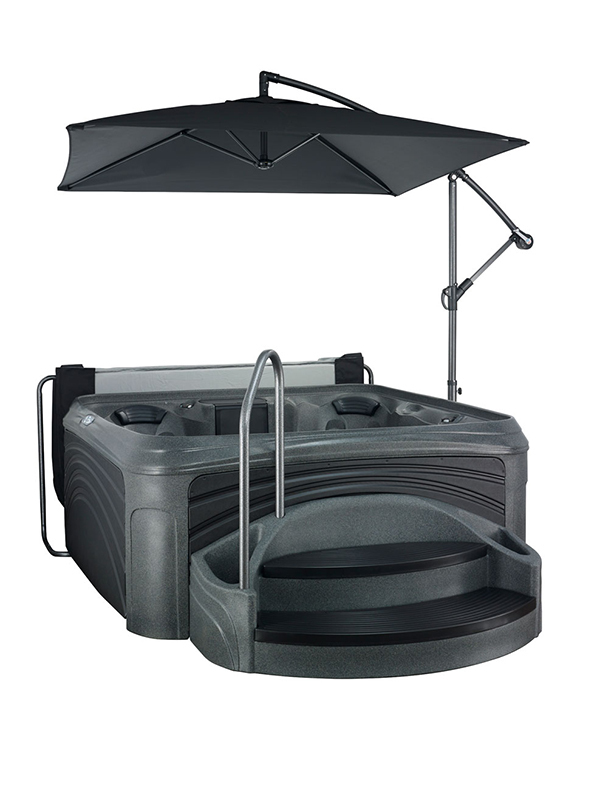 Now you can have it all… and more. 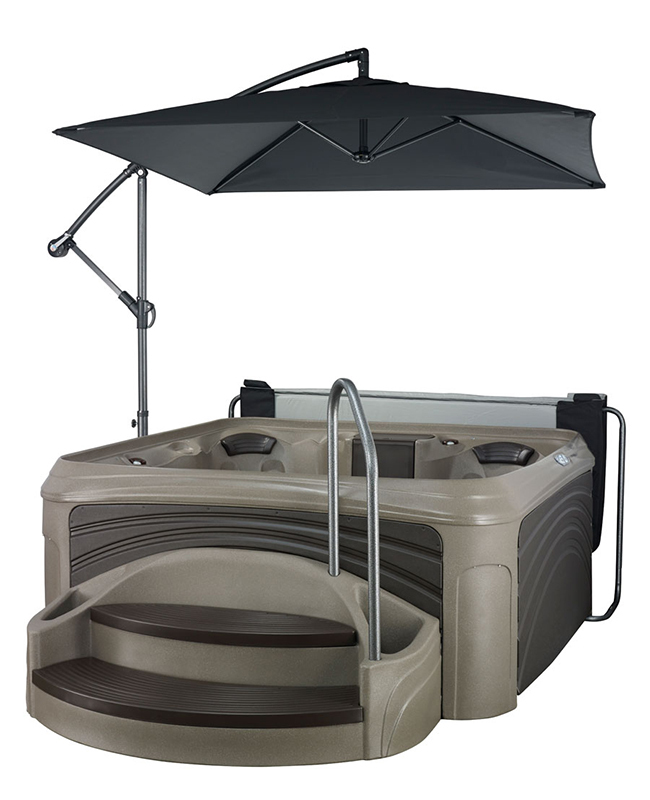 The first in its class, the Dream Maker Cabana 2500 Hot Tub brings you the year-round dream vacation that you keep in your own back yard. 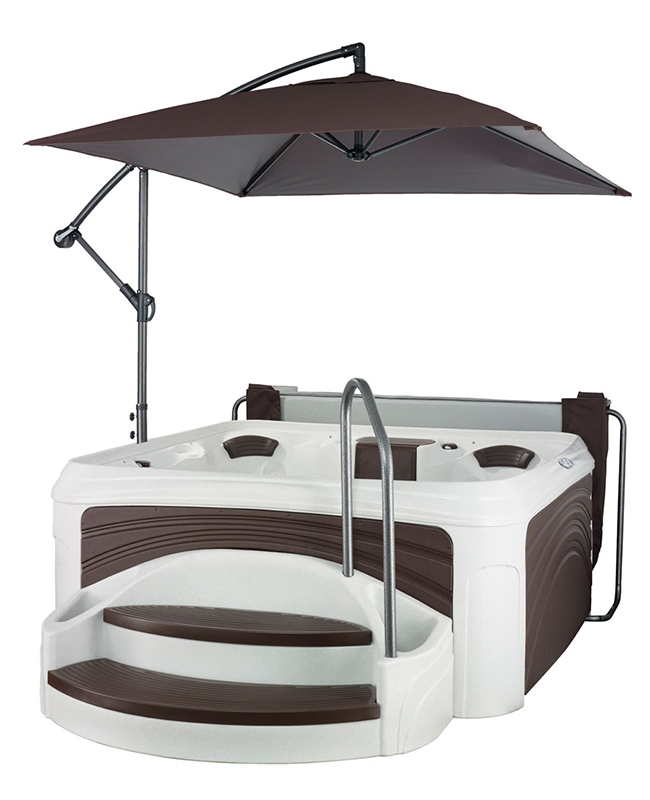 Beginning with a protective Weather Shield umbrella and spa cover plus a large inviting Suite Step entry with planters, storage and handrail, you’ll experience the value from the start. 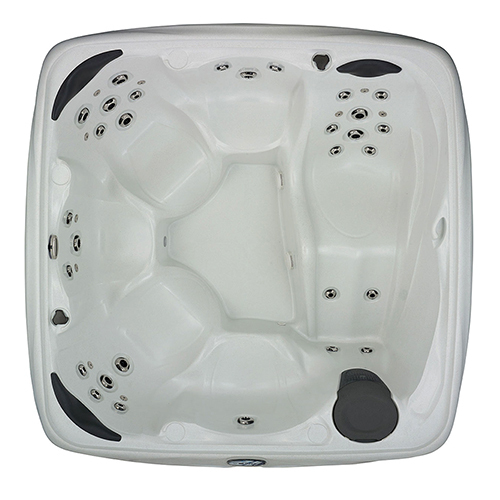 Inside, you’ll enjoy the perfectly formed lounge and guest seats, soft contoured head rests, entertainment table and built-in cooler compartment. 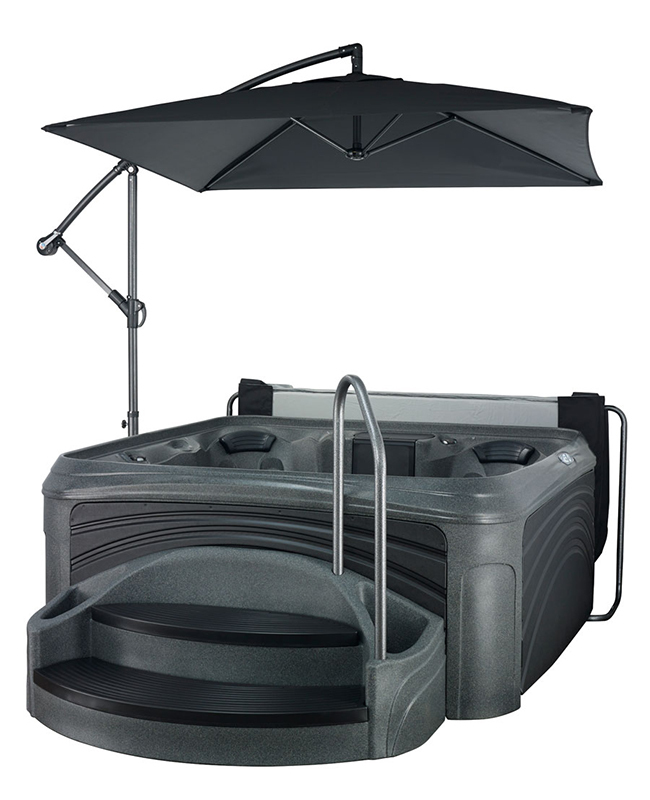 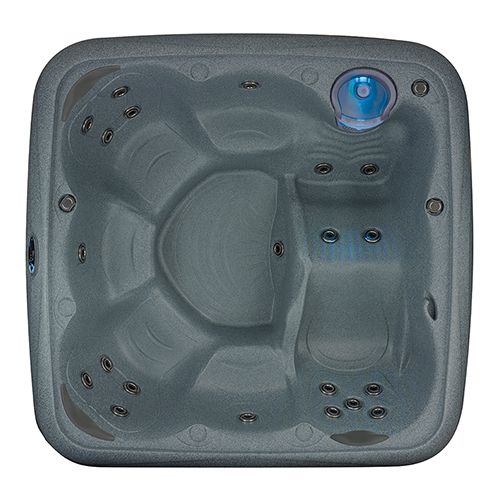 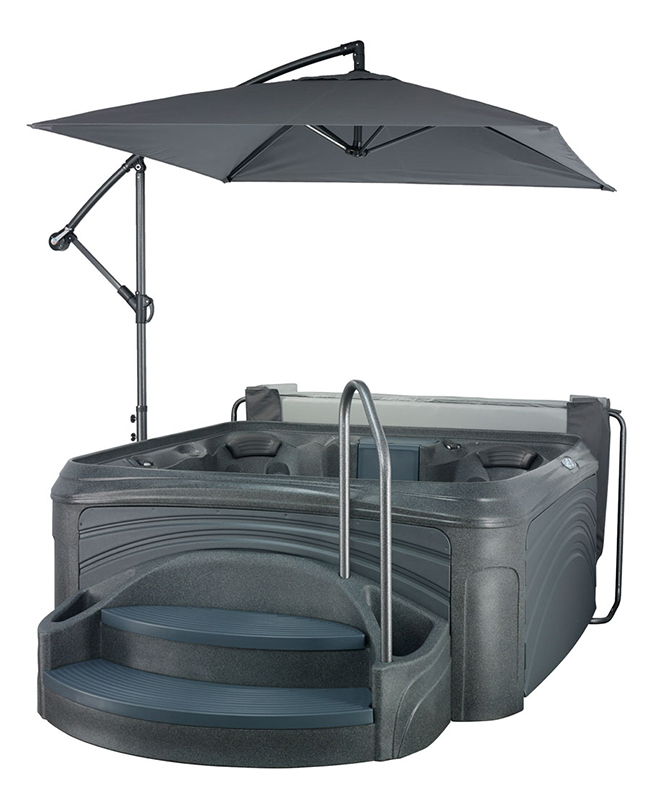 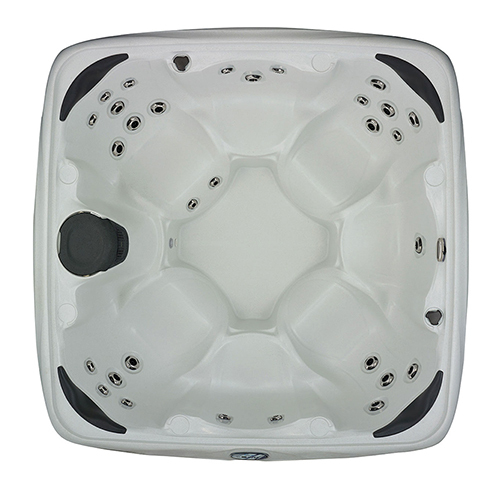 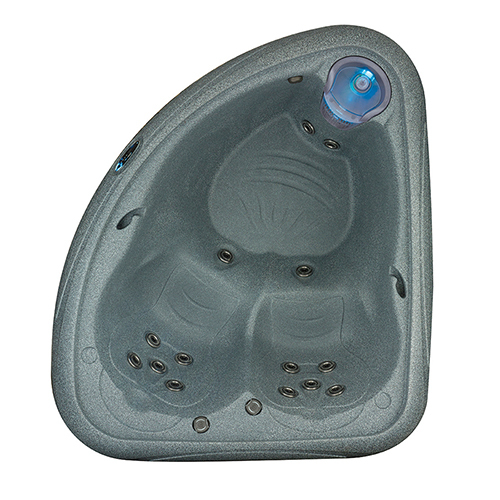 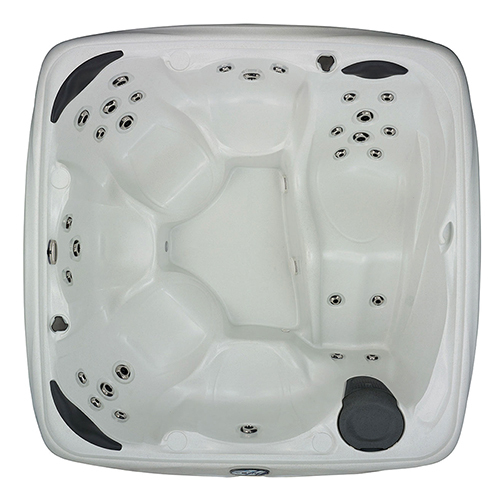 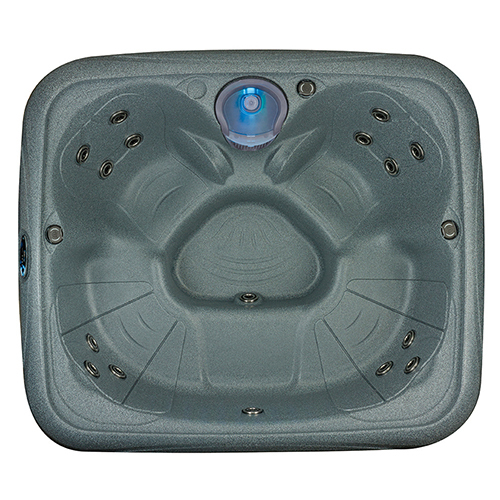 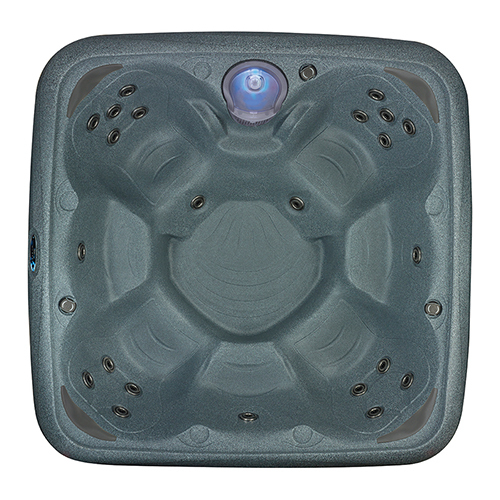 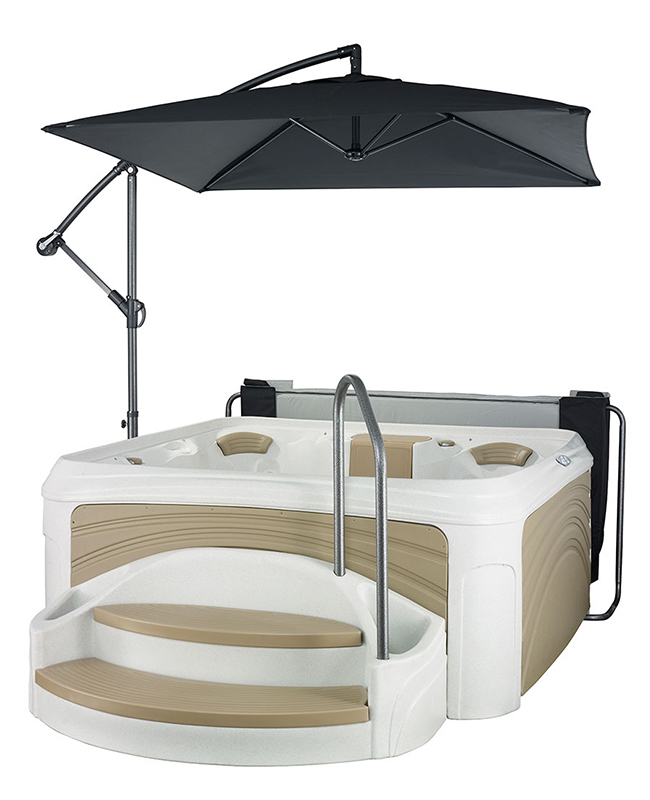 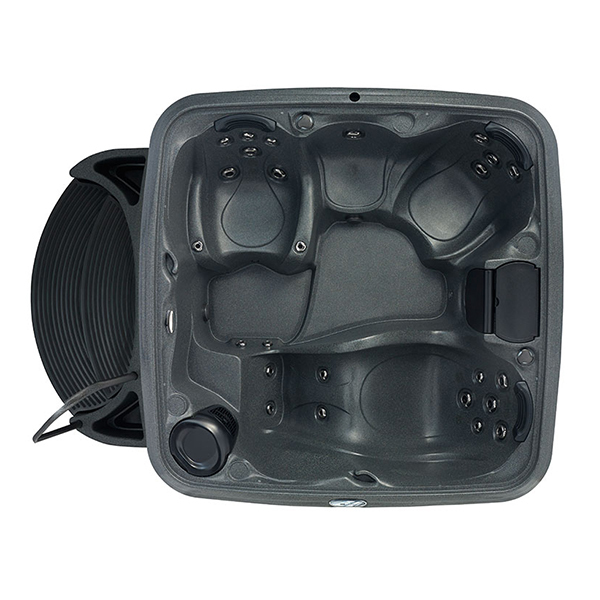 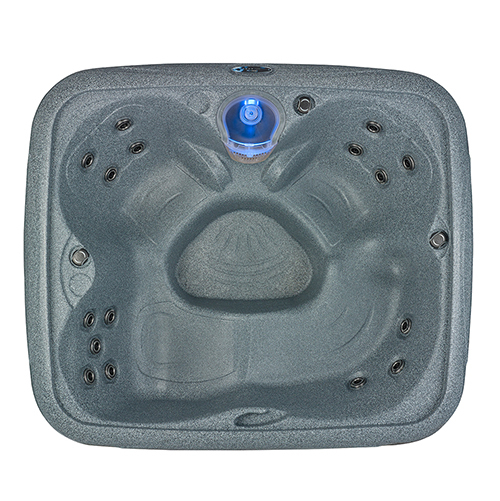 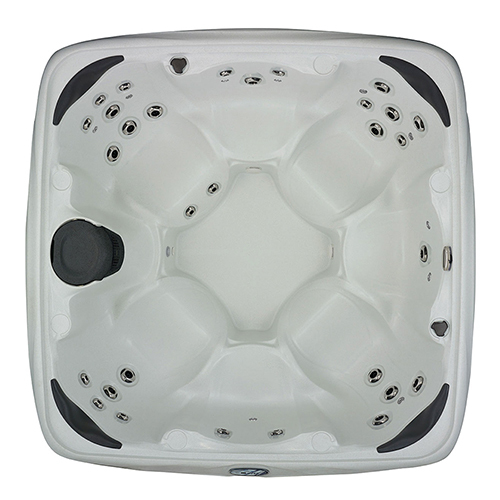 The Dream Maker Cabana 2500 Hot Tub is a 4 person hot tub with a full-body lounge, and has 25 adjustable jets that target shoulders, back muscles and feet for a massaging hydrotherapy experience.